Mr. Haney, a northeastern Ohio traditional bluegrass band featuring Jim Eisenberg (claw hammer banjo, vocal, hambone), Laura Lewis Kovac (fiddle, feet), Ken Roby (fiddle, mandolin, banjo), Jim Richards (guitar) and Nancy Tozer (bass), will be appearing at the 3rd Annual Blue Sky Folk Festival in Kirtland, Ohio on May 4th, 2012. 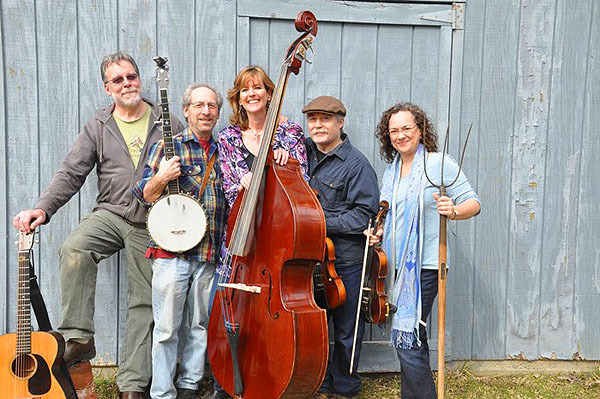 The band takes their name from the Mr. Haney character on the old “Green Acres” television sitcom that ran on CBS from 1965 to 1971 about a rich New York City couple who move to a country farm to reconnect with the simple life. 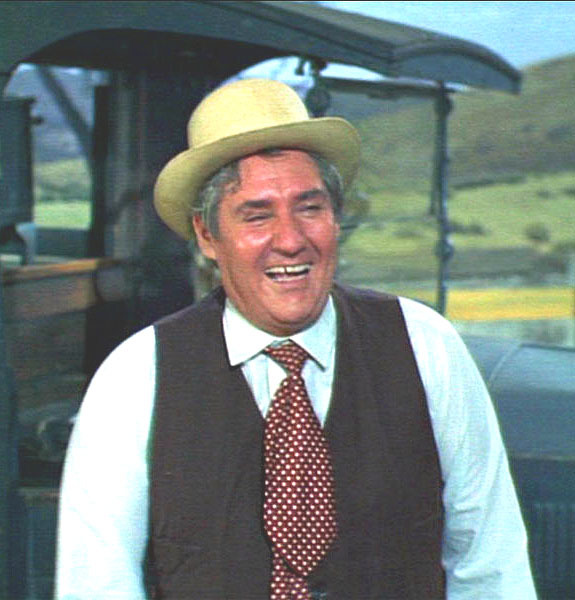 The TV Mr. Haney (played by Pat Buttram) was a scoundrel who sold his farm to Oliver and Lisa Douglas (played by Eddie Albert and Eva Gabor) at an inflated price after first stripping it of all its assets and then selling them back one at a time. Unlike the con artist Mr. Haney, this band is the real deal. Q: How long you all have known each other? A: Some of us are old friends, others are new friends. Music is the common denominator. Q: How did you first get together to play? A: Jim Eisenberg and I had been playing together a bit and invited Ken, Nancy and Jim to join us. Q: How long have you been playing together? A: We’ve been playing together in public a little less than a year, but informally at parties for many years. Q: What music has influenced the band? A: All of us have deep roots in old-time music. Q: What’s it like now that you’re playing for paying customers rather than friends? A: Old-time music is happy, celebratory music. It lifts the heart and people can’t help but tap their toes or dance. So when we play out, we put the word out to friends and have a party! Q: Any thoughts you have about music or the group you want to share? A: We all like each other’s company and when we get together, there’s usually food and visiting involved. We’ve all played in different configurations over the years, but a full band with twin fiddles is pretty great. We look forward to deepening our groove and expanding our repertoire. The 3rd Annual Blue Sky Folk Festival Saturday, May 4, 2013 is a day-long folk music jam with workshops, great food, and an inside main stage. New this year: more tents for jammers and a dance floor near the main stage. More details at blueskyfolkfest.com. Bring your blankets & lawn chairs. There is a playground and storytelling for the kids. Bring your instrument to jam and get a $5 discount. Come enjoy local artists playing original music. On the grounds of the East Shore Unitarian Universalist Church, 10848 Chillicothe Rd / SR 306, 1/4 mile south of SR 6 in Kirtland, Ohio. Tickets $10 at the door, $8 seniors 65+, kids are free! 11:00am until 7:00pm. Service dogs only at the festival, please. This entry was posted on Saturday, May 4th, 2013 at 8:29 am	and is filed under Music, writing. You can follow any responses to this entry through the RSS 2.0 feed. You can leave a response, or trackback from your own site.